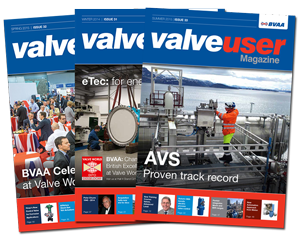 Adanac Valve Specialities Ltd are celebrating entering the 10th year of cryogenic testing at their Woolpit facility. Initially carrying out a basic pre-test on their products before sending them for witness test at an independent facility, in 2002 this equipment was extended to include specialist cooling and leak detection equipment allowing Adanac to carry out full in-house testing of their products. In 2003 Adanac started offering Cryogenic & Low Temperature testing in a third party capacity offering customers a source for independent testing of their own product. 2006 saw the facility further enhanced with the introduction of ATaCS (Adanac Testing and Cryogenic Services), a purpose built pneumatic test area incorporating overhead crane, centralised test operating with CCTV monitoring, data logging & computer generated test report facilities. Four test stations, two fixed cold boxes and numerous mobile cold boxes the largest of which allows for full immersion of a 24" class 150 gate valve. The ATaCS facility allows Adanac to perform a wide range of pneumatic testing in a safe, professional environment. A significant milestone, Adanac celebrated the 1000th low temperature test in August last year. A further 300 tests have been performed since then. In addition to cryogenic and low temperature testing, the ATaCS facility offers Fugitive Emissions production and prototype testing to a wide range of user, European and international specifications. Also multi-operation performance testing, stem and gland packing performance evaluation, high and low pressure pneumatic testing both at ambient and sub-zero temperatures. The ability to carry out component performance testing to assist manufacturers with product development, Adanac have recently performed in-house thermal shock testing of a body seal for a large ball valve manufacturer.